Below you will find the list of our current WRF Fellows as well as a little information about them and their work. We are not accepting new applications at this time. To restore auto-antigen tolerance in autoimmune disease models, especially in Type 1 Diabetes model, Hua will work under the guidance of Dr. David Galas at the Pacific Northwest Diabetes Research Institute and Dr. David Baker at the Institute for Protein Design to design and validate therapeutic peptides (or small proteins) that can interfere with the auto-antigen*MHC*T-cells complex, and hence inhibit the activation of pathogenic T-cells. On the other hand, by exploiting self-assembling nanoparticles design methods, Hua will design tolerogenic MHC*peptide complexes which can promote the proliferation of regulatory T cells and then induce auto-antigen tolerance. This project can potentially create novel tolerogenic therapeutics, and it can lead to a better understanding of immune tolerance mechanisms as well. Hua obtained a B.S. degree in Biological Sciences in Peking University, China. Later, he came to the University of Wisconsin-Madison pursuing a Ph.D. degree in physiology. After two years of working on “metabolism” using animal models and five years of studying “membrane trafficking”using various in vitro biochemistry and biophysics techniques, Hua’s career objective to be an outstanding protein engineer is getting clearer and more determined. Hua will be dedicated to addressing the metabolic syndrome and related disorders by utilizing the powerful protein design and engineering methods. vital to the activity of the respective molecules. A lack of specificity and regioselectivity (a process that favors bond formation at a particular atom) has hampered classical synthetic chemistry methods for carbon-halogen bond formation. But enzymes evolved a variety of elegant mechanisms to catalyze this synthetically challenging reaction. Hence novel methods for the introduction of carbon-halogen bonds in advanced synthetic or biosynthetic intermediate with complex molecular scaffolds can be developed by engineering these halogenating enzymes. My project aims to apply computational protein design to redesign a chlorinase enzyme with a modified substrate scope. To demonstrate the potential of computational protein design to efficiently change the substrate scope of the enzyme, I will design the chlorinase to catalyze the conversion of dechlorogriseofulvin to griseofulvin. Griseofulvin is an antifungal compound used in the treatment of skin and scalp infections caused by dermatophytes like tinea capitis and tinea pedis. While previous engineering approaches have been performed on chlorinase enzymes, previous examples use indole-containing substrates (such as tryptamine) or aryl rings with nitrogen substituents (such anthranilic acid or kyneurine). While these examples highlight the plasticity of the substrate scopes of this class of enzymes, they also highlight the deficiencies of the current approaches used to modify the specificity of flavin-dependent chlorinases. My project aims to supplement these current methods with computational design by targeting a reaction involved in the synthesis of a medically relevant compound. Similarities between biological systems are frequently the result of descent from the common ancestor, and variations modulate the properties without disrupting shared functionalities. The centerpiece of biological enquiry, the function, is a consequence of interactions between molecules, cells and organisms. Interactions in an evolvable system are shaped by coevolution at all levels, within and between organisms. Imprints of coevolution can be deciphered by the analysis of co-variation in large datasets and used to predict functional interactions, suggest hypotheses for experimentation, and streamline discovery process. My research program will focus on coevolution in biological systems and harvesting coevolutionary information from large genomic datasets to predict functional properties. First, I will develop computational methods to deduce interactions between proteins, model spatial structures of macromolecular complexes and apply them to medically important systems. Next, I will analyze coevolution at the level of cells and organisms to address the question about genetic determinants of host-pathogen specificity. Finally, I will use coevolutionary considerations to study epistasis and complex traits with the emphasis on non-monogenic diseases. I graduated from Peking University in Biological Sciences and got my Ph. D. in Molecular Biophysics from the University of Texas Southwestern Medical Center in Dallas, TX. I studied the evolution of protein structures, developed methods to assess structure prediction and to facilitate protein sequence analysis, and applied these methods to proteins related to disease. Furthermore, I established experimental and computational pipelines to sequence, assemble, annotate and comparatively analyze eukaryotic genomes using butterflies as model organisms. Broad training in protein bioinformatics and genomics allows me to use integrative approaches that combine knowledge- and data-based computation with experimental validation. As a WRF fellow Tim will be working with Jay Shendure (UW Genomics) and David Baker (UW Biochemistry and IPD) to engineer new methods to design synthesize repeat protein architectures and materials of biomedical interest. Timothy started his scientific career with an emphasis on physical chemistry and obtained a B.Sc. form the College of New Jersey double majoring in Physics and Chemistry. After research stints at the National Aeronautics and Space Administration and the National Institutes of Standards and Technology Tim decided to switch scientific fields and pursue a M.Sc. in Bioinformatics at Georgetown University. After graduating Georgetown and a short research stint at the Food and Drug Administration Tim moved to New York University and completed a PhD in Biology with an emphasis on computational design and synthesis of biomimetic molecular architectures co-advised between the labs of Richard Bonneau (NYU Biology) and Kent Kirshenabum (NYU Chemistry). The goal of Kris’s research is to design novel selective peptide-small molecule binders. Peptide binders possess similar advantages compared to proteins and small molecules since they offer specificity by providing greater contact via tertiary structure while also being smaller and more stable. In particular, she will be working with Prof. David Baker at the University of Washington (de novo design expertise) and Dr. Philip Greenberg at the Fred Hutchinson Cancer Research Center (immunology expertise) to design selective peptide-small molecule binders for specific inhibition of protein tyrosine phosphatases (PTPs) in the context of cancer immunotherapy treatment. Ultimately this will provide access to tools that will allow us to study the unique roles of two similar PTPs (SHP-1/2). Both are potential cancer therapeutic targets via two varying pathways. Kris graduated with a Bachelor of Science in biochemistry from Duquesne University in Pittsburgh, PA. There she worked on the synthesis and design of heavy metal fluorescent ion sensors in the laboratory of Prof. Partha Basu. She then completed her PhD in chemistry in the laboratory of Prof. Karl Scheidt at Northwestern University. She was awarded the NSF graduate fellowship in 2014. During her doctoral research she developed chemical approaches for studying kinases selectivity, that lead to the development of selective kinase inhibitors for studying chemical pathways. Advances in computational biology have enabled the field to design proteins with desired structures and functions completely from scratch. As described in the research summaries of other WRF fellows, this technology can be used to tackle a wide variety of challenges ranging from treating cancer to synthesizing biomaterials. However, doing so faces an obstacle: the success rate of protein design is still low, such that designs often fail to take on desired structures and functions when tested in the lab, requiring many to be tested before finding a hit. A major reason for this low success rate is that our models of the physical forces that shape proteins (e.g., van der Waals interactions, hydrogen bonds, etc.) are still imperfect. The goal of my project is to increase the success rate of protein design by increasing the physical accuracy of these models. 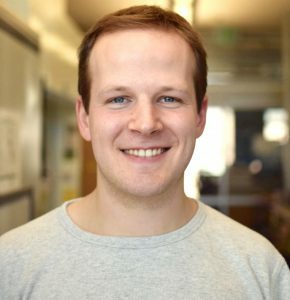 The Baker lab recently developed a method for measuring the stabilities of thousands of protein designs in a single high-throughput experiment, allowing us to enumerate which designs successfully folded (stable) and which did not (unstable) for an unprecedentedly large number of proteins. I plan to optimize current design models by using such experimental data to retrain them. Specifically, I will first design thousands of proteins tailored to be highly informative for model optimization. Next, I will experimentally quantify each design’s stability. Finally, I will retrain the models to optimally predict these data. I expect the retraining to greatly improve the success rate of protein design, greatly accelerating our ability to use this technology to solve a wide variety of challenges in science and technology. I obtained a B.A. from the University of Colorado, where I conducted research in Dr. Shelley Copley’s lab on how new enzymes can evolve from ones that have promiscuous catalytic activities. I went on to obtain a PhD from the University of Washington and Fred Hutchinson Cancer Research Center in the lab of Dr. Jesse Bloom. There, I the evolution of HIV’s envelope protein, which is this virus’s most rapidly evolving protein. Although many sites of this protein vary in nature in order to escape immune responses, my work helped identify regions that are highly intolerant of mutations, and thus predicted to have a decreased capacity for immune escape. Targeting such regions could lead to effective and long-lasting medical interventions. The kinetochore is a ~100 protein molecular machine that connects microtubule ends to chromosomes and harnesses the power of depolymerizing microtubules to segregate chromosomes during cell division. Kinetochores must maintain their connection to chromosomes and microtubule ends while under high tension for a weakening of these connections can halt cell division or promote incorrect chromosome segregation. The kinetochore components that bind microtubules are mostly determined but it is unclear how multiple copies and the structural arrangement of these components can strengthen kinetochore microtubule attachments. Testing the microtubule end attachment strength of kinetochore components at specific binding geometries and stoichiometries will help determine how these attachments bear the forces necessary to regulate and perform chromosome segregation. As a WRF fellow, Luke will carry out a research plan to test the microtubule end attachment strength of designed kinetochore protein particles. Luke will work with Dr. David Baker (UW Biochemistry and IPD) and Dr. Trisha Davis (UW Biochemistry) to design different protein domains with oligomeric states that are spatially and numerically controlled. These designed protein domains will be attached to kinetochore proteins and purified to yield single particles of kinetochore components at known stoichiometries and geometries. The microtubule end attachment strength of the engineered particles will be tested using optical tweezers microscopy through collaboration with Dr. Charles Asbury (UW Physiology and Biophysics). By using protein design, Luke will be able to directly test how the structure of kinetochore components bound to microtubule ends can modulate the force bearing capabilities of the kinetochore. Luke graduated with a Bachelor of Science in biochemistry from Iowa State University; where he helped to solve the structure of an Ebola virus protein in the laboratory of Dr. Gaya Amarasinghe. For his graduate work, Luke studied under Dr. Brad Nolen at the University of Oregon. 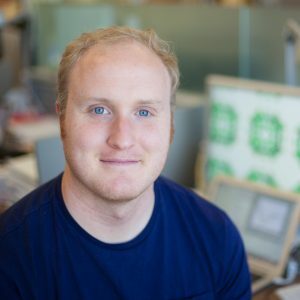 In the Nolen lab, Luke developed single-molecule microscopy experiments to understand how branched actin networks are nucleated and architecturally regulated. 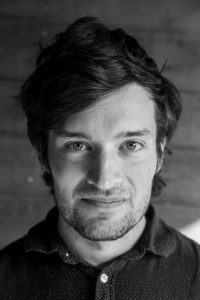 For his postdoctoral training, Luke joined the laboratory of Dr. Trisha Davis at the University of Washington where he plans to further his knowledge of cytoskeleton biology and single-molecule microscopy. Protein-based nanoparticles have been designed and used for a variety of drug-delivery systems. These drug carriers are based on naturally self-assembled protein subunits which form a cage that can be used to trap pharmaceutical compounds. The use of naturally derived proteins offers benefits in terms of their biocompatibility, biodegradability, low toxicity and relative abundance. Despite these advantages, they remain limited in their use, being repurposed from their original biological application. In contrast, the computational design of protein nanomaterials has created the ability to design self-assembling cages which incorporate additional synthetic functionalities into their structure. Working with the Baker/King labs Karla is working on using computational design to develop ‘smart’ protein cages that exhibit a strong response to environmental pH. In collaboration with the Stayton group these materials can then be loaded with polymer-prodrug carriers. It is hypothesized that the polymer therapeutics can be loaded via pH-dependent assembly of the cages, and subsequently their higher molecular weight will lead to intra-cage retention. In this way she hopes to develop targeted drug delivery vehicles which release their cargo inside the tumor microenvironment, minimizing chemotherapy dosage levels. 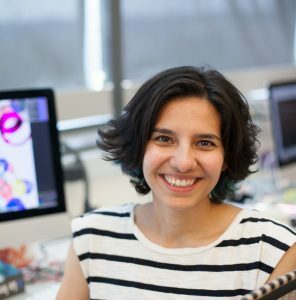 Karla obtained her MPhys in physics from the University of Oxford where she studied laser-plasma interactions and space dust formation before discovering a love of biological physics. She then carried out her PhD research in the lab of Prof. Molly Stevens at Imperial College London where her main focus was on the study of phage-derived peptides for use in diagnostics and therapeutics for HIV. She is also interested in peptide-protein interactions and the rational design of protein ligands. During her PhD Karla held a sabbatical fellowship at the UK Parliament’s Office of Science and Technology and was heavily involved with educational outreach. As a WRF fellow, my goal is to develop new computational tools to design cyclic peptides and to use these peptides as specific inhibitors/binders to target enzymes/proteins. Cyclic peptide binders have the advantages of both proteins and small molecules: they can offer specificity through providing more contacts and they are small and usually more stable. Design of cyclic peptides is an exciting new addition to the field of protein design. In particular, I am working with Dr. David Baker and Dr. Michael Gelb to design new cyclic peptide binders for specific inhibition and study of different members of secreted phospholipase A family of enzymes. These enzymes are known to be important in inflammatory disease states including asthma; however their exact roles remain elusive. While there are small molecule inhibitors for some members of these enzymes, similarly specific small-molecule based inhibitors have not been identified for all members of this family of enzymes hampering their study. This project is aimed to use the designed cyclic peptide to address this issue and provide better understanding of secreted phospholipases. I was trained as a molecular biologist in my undergrad. My interest in proteins led me to do my graduate research on rational design of metalloproteins in the lab of Dr. Yi Lu. I was mainly focused on altering second shell interactions to tune the activity of proteins. My research provided a general guideline for tuning the redox potential of metal centers. Creation of a universal flu vaccine that can result in lasting resistance to multiple strains of influenza as well as newly emerging strains is of extraordinary interest. Thaddaus will work under the guidance of Dr. Neil King at the Institute for Protein Design and Jesse Bloom at Fred Hutchinson Cancer Research Center to develop two-component protein nanoparticles displaying flu antigens to induce broadly neutralizing antibodies (bNAbs). Thaddaus completed his PhD in Chemical and Biological Engineering in the laboratory of Dr. Christopher Snow at Colorado State University. During his doctoral research he developed methods to use a highly porous protein crystal for scaffold assisted crystallography of guest molecules. He is excited for his new opportunity to further develop expertise in protein design and learn cutting-edge methods such as cryo-EM. Alzheimer’s disease (AD) is a major public health threat, currently afflicting 5.3 million Americans, at an estimated cost of $226 billion per year. This threat is made more urgent by an aging population; the risk of Alzheimer’s disease increases exponentially in those over the age of 65. While basic research has made great strides in understanding the underlying biology, there are no approved treatments to reverse or halt its progression. Like many neurodegenerative disorders, AD involves the accumulation of abnormally folded proteins. The extracellular fibrillar plaques, which are formed by aggregation of misfolded Aβ peptides, are the hallmarks of the disease along with neurofibrillary tangles formed by tau protein. Aβ peptides are 39–43 residue-long peptides derived proteolytically from the transmembrane amyloid precursor protein (APP), generated by β- and γ-secretases. At high (μM) concentrations, the Aβ peptides undergo a large conformational change and aggregate to form toxic oligomers and fibrillar plaques. 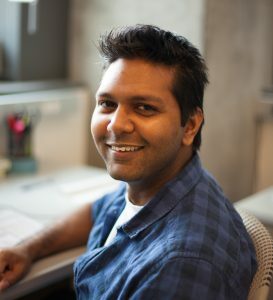 Nihal will be working under the guidance of Dr. David Baker and Dr. Dirk Keene to design small, easily produced binding proteins that can sequester the Aβ polypeptide in a monomeric, aggregation-incompetent form. We also aim to design small cyclic peptides which can cap Aβ fibrils and control fibrillar growth. Nihal received her bachelor’s degree in chemical engineering at Bogazici University in Istanbul, Turkey. After receiving her master’s degree, Nihal’s fascination in biological systems and proteins led her to pursue a graduate degree in biophysics in the lab of Dr. Qiang Cui at the University of Wisconsin—Madison. 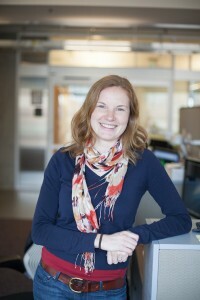 During her graduate studies, she focused on conformational diversity and structural characterization of large proteins through molecular dynamics simulation and homology modeling techniques in the light of small angle X-ray scattering and X-ray crystallography data. 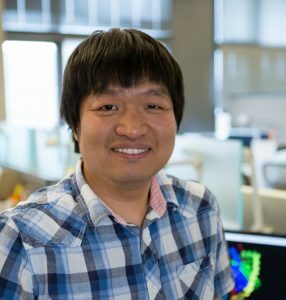 The goal of Gyu Rie’s research is to develop new computational methods for designing proteins which specifically bind to assigned small molecules. She is mostly interested in incorporating ligand flexibility and protein dynamics in binder design. 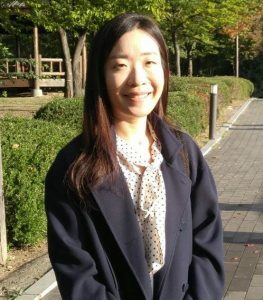 She hopes to increase the efficiency and efficacy of the computational work, which will allow large-scale design of small molecule-binding proteins. Particularly, as a WRF fellow, Gyu Rie will develop a method for designing a protein switch, which selectively binds to ABL kinase in its ligand-bound state. She will pursue this by working jointly with Dr. David Baker and Dr. Dustin Maly. Molecular switches are developed to sense external signals and regulate the activity of the targeting system. A protein switch which targets ABL kinase bound to its small molecule inhibitor, Gleevec, will be designed in this study. Kinases have multiple binding sites and it has been found that the activity can be controlled more selectively when these sites are targeted together. Gyu Rie will design a switch that targets the secondary binding site of the ABL kinase by considering the conformational change upon ligand binding. The developed molecular switch will be able to control the signaling pathway via ABL kinase. Also, it can be applied to generate a system, which induces dimerization of fusion proteins each linked to the designed protein and the ABL kinase. Gyu Rie obtained a B.Sc. at Seoul National University majoring in Chemistry Education and minoring in Biological Sciences. She got her Ph.D. in Physical Chemistry also at Seoul National University by doing her graduate studies in the lab of Dr. Chaok Seok. 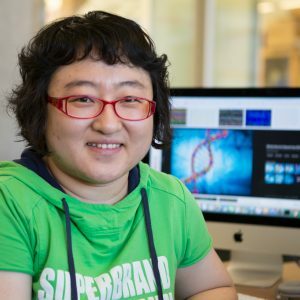 The research she carried out in Dr. Seok’s lab was focused on developing computational methods for refining predicted protein structure models. The developed methods were successfully tested on refinement categories held by recent Critical Assessment of protein Structure Prediction experiments. By studying protein structures, Gyu Rie became more interested in predicting the functions of proteins using the models. She extended her refinement method to predict the ligand-bound G protein-coupled receptor complex structures. Shiri Levy, PhD. Collaborating PI: Hannele Ruohola-Baker, Biochemistry Department. Direct reprogramming of the epigenome has tremendous potential to advance applications in disease modeling, drug discovery, and gene and cell therapies. Specifically, histone modifications in promoters and enhancers genes possess distinct features in gain and loss of function. A good example for wide epigenetic repressive marks is in human Embryonic Stem Cells (hESC), as massive gene silencing takes place in early development prior to differentiation. Precise manipulation of histone modification in promoter and / or enhancer areas can therefore lead to cellular reprograming, and encode for lineage specific cell fate. Together with the Institute of Protein Design (IPD), we apply computational protein design to engineer synthetic, novel proteins that mimic epigenetic modifiers. In order to achieve precise gene target in promoter and /or enhancer areas we incorporate the newly designed proteins with CRISPR-associated null Cas9 nuclease (dCas9). Our goal is to create the ability to reprogram control of gene expression or repression using newly designed epigenetic modifiers while targeting any genomic locus of interest through the simple exchange of the 20-nt targeting sequence of the guide RNA (gRNA). Thus, this technology launches new platform for reprogrammable cell linages as well as introducing control of developmental plasticity of hESC that is largely governed by specific nucleosome architecture. 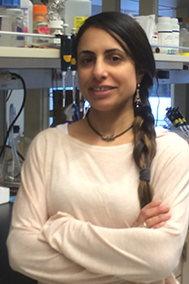 Shiri received her bachelor’s degree in molecular and cellular biology from the University of Washington in Seattle. 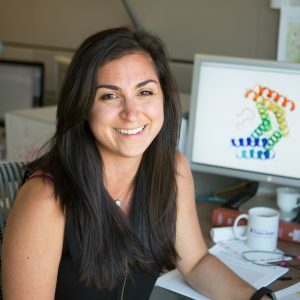 After receiving her master’s degree in molecular biology and biochemistry, Shiri focused her graduate studies in exploring the control of gene expression in human mitochondria under the supervision of Prof. Gadi Schuster at the Technion, Israel Institute of Technology. 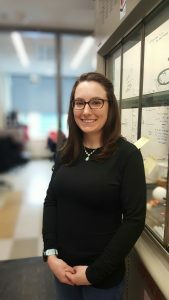 During her PhD studies, Shiri characterized a family of orphan proteins that responsible for digestions of RNA and DNA in both ancient archaea and human mitochondria. As a WRF Innovation Fellow at the Institute for Protein Design (IPD), Rubul will work with Prof. David Baker (at IPD) in collaboration with Dr. James J De Yoreo (Pacific Northwest National Laboratory, PNNL). Rubul aims to rebuild some of the large cellular protein machineries, completely from the scratch (de novo), using computational and experimental methods. In one such endeavor, he aims to build a nanodisc-like structure by hierarchically organizing oligomeric protein complexes. Such nanodisc-like protein assemblies are prevalent in many cellular machineries such as immunological synapse, apoptosomes, inflammasomes, and in bacteriorhodopsins, to name a few. He then hopes to use these protein machineries in various applications for remodeling immunological synapse for cancer immunotherapy, intracellular protein networks, and in optogenetics to understand our brain functions. He also aims to build globular protein assembly to mimic/reengineer cellular proteasomes which may be useful to treat neurodegenerative diseases such as Parkinson’s disease. Rubul was born and grew up in a farmer family in a remote village in the North-East of India. After receiving M.Sc. degree in Chemistry from Gauhati University, Assam, India, he researched at the Tata Institute of Fundamental Research, Mumbai in the field of malarial parasite immunology. He then moved to the University of Massachusetts Amherst to pursue his PhD under Prof. Vincent M. Rotello at the Department of Chemistry. At UMASS, he invented a technology that allowed delivering proteins directly into cell cytosol. This technique was later used to transduce a variety of proteins into mammalian cells including CRISPR/Cas9 systems for gene editing. Rubul is also the author of two books in his native Assamese language: a collection of short stories and a memoir. Malaria, caused by infection with Plasmodium parasites, is a major global health burden. B cell expressed antibodies are critical for protective immunity against malaria yet little is known about Plasmodium-specific B cells. Recent studies from the Pepper laboratory have revealed functional heterogeneity among high affinity memory B cells (MBCs) responding to Plasmodium. Remarkably, somatically hypermuated IgM MBCs respond faster to a secondary infection than classically defined IgG MBCs. For the first aim of this project, the signals that lead to the generation of these distinct MBC populations will be elucidated. These studies will inform the second aim of the project, which is to design and engineer immunomodulatory nanoparticles (NPs) in order to drive specific MBC populations. These highly modular NPs are unique as they can be rapidly assembled and are very stable. NPs will express Plasmodium antigens in the context of additional immunomodulatory molecules to induce specific populations of Plasmodium-specific MBCs in mice. The NPs will also be modified to express antigens from Plasmodium species that infect humans in order produce a novel, effective malaria vaccine. These groundbreaking studies have the potential to impact vaccine design to many diseases including HIV and tuberculosis. 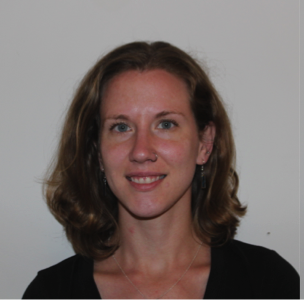 After graduating from Oberlin College, Gretchen volunteered as a science teacher in the Peace Corps in Malawi and then worked as a research technician in Dr. Yongwon Choi’s laboratory at the University of Pennsylvania. She then stayed at the University of Pennsylvania where she earned a PhD in Immunology. Under the mentorship of Dr. Christopher Hunter, she examined the role of the Th1-inducing transcription factor T-bet during the immune response to the intracellular parasite Toxoplasma gondii, and uncovered novel functions of this transcription factor. 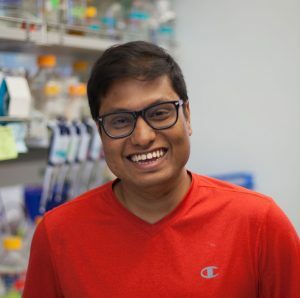 As a WRF fellow, Anindya will be working with Dr. David Rawlings (Seattle Children’s Hospital) and Dr. David Baker (UW Biochemistry and IPD) to develop APRIL and BAFF specific inhibitors for the development of therapeutics for autoimmune diseases and cancer. Both these ligands have been shown to play critical roles in maintaining humoral immunity and signaling network pertaining to this ligand axis is highly exploited in cancer and autoimmune diseases. Current therapeutic approach relies on utilizing the soluble extracellular domain of the receptor for these ligands to block the signaling network. However, initial clinical trial results show that extracellular receptor decoy might not be a safe therapeutic agent presumably due to the complexity and shared ligand space of this signaling network under normal conditions. This project under the WRF fellowship aims to design orthogonal binding partner for BAFF and APRIL with high affinity and specificity. 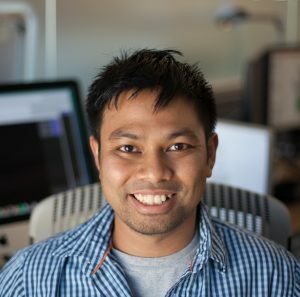 Anindya started his scientific career with a special interest in chemical biology and protein biochemistry. He received his MSc from the Indian Institute of Technology (IIT-Kharagpur, India) studying protein-small molecule interactions using biophysical techniques. 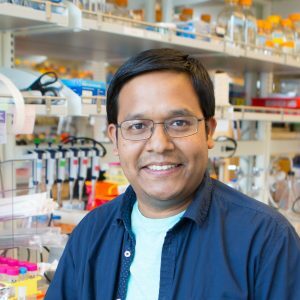 In 2008, Anindya moved to the US and received his PhD from Arizona State University under the guidance of Dr. Giovanna Ghirlanda where he worked on de novo design of artificial metalloproteins. In this work, he laid the foundation for designing multi-cofactor redox proteins that go beyond naturally existing systems. Plant pathogens cause significant economic damage since they often inject toxic small molecules and proteins into the cells of agriculturally important plants, such as tomato and bean plants, that can lead to crop loss. One of such pathogens is the bacterium Pseudomonas syringae. In his project*, Danny’s aim will be to introduce novel proteins, that are designed to bind and neutralize a subset of Pseudomonas syringaetoxins, into plant cells in order to protect plants from such pathogens. The genetic accessibility of plants and the long standing GMO tradition in plant biotechnology, makes plants suitable candidates for computational protein design approaches. We hope that in the future, our designer proteins will complement the strategies that are currently used to combat plant disease in agriculture. 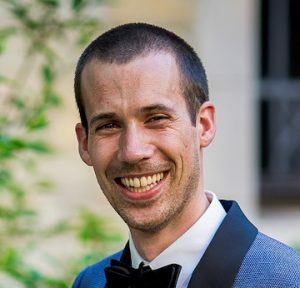 Danny obtained his PhD in structural biology and biochemistry in Titia Sixma’s lab at the Netherlands Cancer Institute in Amsterdam, the Netherlands. There he worked on elucidating the regulatory mechanisms of a special class of proteases called deubiquitinating enzymes using X-ray crystallography and a variety of biochemical and biophysical techniques. *Danny Sahtoe is an EMBO long term fellow and was also awarded a WRF innovation fellowship that supports his non-salary research expenses. The ability to therapeutically modulate protein-protein interactions bears enormous potential for the treatment of human diseases. Traditional experimental tools are limited by naturally occurring scaffolds to target proteins central to disease development. Thus, the capability to engineer entirely novel proteins de novo – with a particular structure to fulfill a desired therapeutic function – would be a major advancement in the field of drug development. Franziska is working with David Baker (UW Biochemistry and IPD) and Mohamed Oukka (Seattle Children’s Hospital) to computationally design high-affinity binders to the cytokines IL-23 and IL-17 for the treatment of autoimmune diseases. Autoimmune diseases such as Multiple Sclerosis and Crohn’s Disease have posed a major challenge – elucidating their molecular mechanisms as well as finding effective therapies have been formidable. Current treatments have severe side effects and merely delay disease onset. Small, rationally designed protein therapeutics may have multiple advantages over currently available antibody therapeutics. In this proposal, we aim to design stable and effective IL-17 and IL-23 cytokine binders with minimal immunogenicity and favorable biodistribution to test the role that computationally designed proteins can play as novel therapies. Franziska has always been fascinated by biochemical pathways and protein-protein interactions and will apply her expertise in protein biochemistry, structural biology, and protein-protein interactions to designing novel interfaces between de novodesigned binders and the IL-17 and Il-23 cytokines. 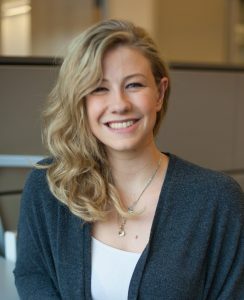 In her graduate work with Elsa Garcin at the University of Maryland Baltimore County and John Tainer at Lawrence Berkeley National Lab, Franziska determined the first human heterodimeric wild-type structure of the catalytic domain of soluble Guanylate Cyclase (sGC) – an important drug target for the treatment of cardiovascular diseases. Her work furthered our understanding of sGC heterodimerization and activation and opened new drug discovery routes for targeting the NO–sGC–cGMP pathway in acute heart failure and pulmonary hypertension. Antibodies mediate immunity to viruses and other pathogens by binding to specific antigenic targets. Our bodies deploy an evolvable arsenal of naïve antibodies capable of responding to diverse antigens. Upon exposure to a new antigen, potent and mature antibodies emerge from this arsenal through the Darwinian process of affinity maturation, consisting of iterative rounds of mutation and selection for improved binding to the antigen. This work seeks to understand the underlying relationship between sequence and function that guides this somatic evolutionary process, by combining antibody lineage reconstruction, high-throughput mutational scanning, and structural modeling approaches. This framework will be applied to an important class of HIV-targeting antibodies that are the subject of ongoing efforts in vaccine design and antiviral therapy. Tyler obtained a BA in Biology and Biochemistry from Willamette University in Salem, Oregon, where he conducted research with Dr. Chris Smith on the iconic Joshua trees of the Mojave Desert. 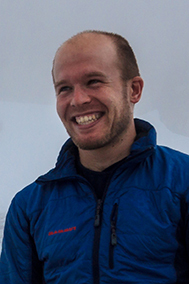 He combined his interests in evolutionary biology and protein biochemistry during his PhD in Biochemistry and Molecular Biophysics with Dr. Joe Thornton at the University of Chicago, where he used ancestral sequence reconstruction and high-throughput mutational scanning to understand the ancient evolution of protein functions. He seeks to apply this framework, previously used on proteins that existed more than 500 million years ago, to the proteins that evolve in our own bodies over the course of weeks and years during an immune response.